Just this morning I received a comment on the post Christmas Reading Challenge from Julie who ran the blog. She deleted the blog yesterday because of a lack of interest. So no Christmas Challenge ;-( But that leaves one less challenge left as 2015 winds down and I still have several to wrap up by the end of December. Already it's going to be December tomorrow. The year has gone too fast. But even though the challenge is now cancelled, I still intend to read some Christmas-themed books. I like to get in the spirit. I'm doing the Picture Books Challenge again next year. I'm trying to get 25 to complete this year's challenge and will try for the same next year. The challenge is now hosted at Bea's Book Nook. 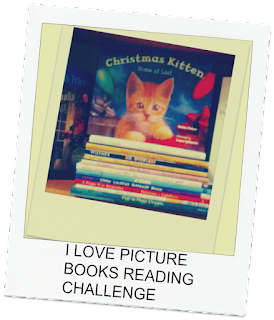 For all of you of all ages who love picture books but find they don't qualify for your other challenges, or just want an excuse to read them. . .here's a challenge just for you! Formerly hosted by Book Dragon's Lair. She's cutting back her challenge hosting for 2016 and passed the baton to me. Challenge runs from January 1, 2016 to December 31, 2016. Sign up is now through December 1, 2016. Pick a number and go for it. Twelve too easy? Go for 20. Piece of cake? Go for 40. Books you own and library check outs count. So do ebooks and re-reads. Please post about the challenge and sign up with a direct link. A blog is not necessary, just link to where you talk about the challenge or a dedicated public shelf at goodreads or LibraryThing. 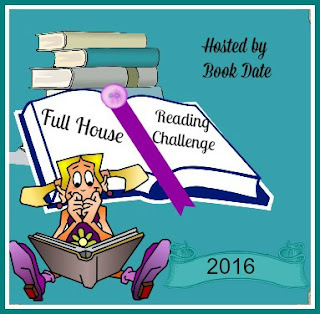 At last the Full House Challenge for 2016 is up. I love doing this one. Sign up at this link. The Dystopia Reading Challenege will be on again next year. Tracy at Cornerfolds, who took over the challenge in midyear, will be hosting again, along with Claudia from My Soul-Called Life. I'm going to try again, even though I didn't quite make the first level this year. I hadn't read any books since September, but had to call it finished since the year is winding down and I need to start wrapping up challenges. I'm planning again to do the first level next year. Sign up at the link above. The Popsugar Ultimate Reading Challenge is on again for 2016. I loved this one this year and am in again! Sign up at the link in this paragraph. A printable list is available at the link. Another new challenge for 2016. This is hosted by Heather at Books Are Life--Vita Libri. It's her first time hosting a challenge. I love Cozies so I need to sign up for this one. 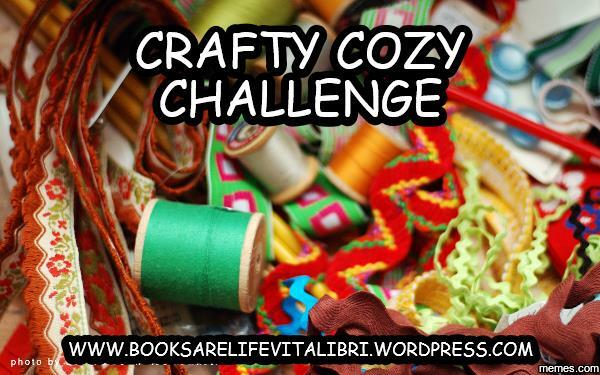 Welcome to the 2016 Crafty Cozy Challenge!! After book blogging and participating in reading challenges for a couple of years now, I have decided to host my very first reading challenge . . . so welcome to the 2016 Crafty Cozy Challenge! I of course love to read and always like to start looking for unique, fun reading challenges about this time of year – something to expand my reading, a challenge to most importantly have fun with! So here we go . . . I hope you will join me and most importantly have tons of fun along the way!! You may be asking yourself “what is a crafty cozy?” A crafty cozy is any cozy mystery that is centered around the theme of crafts and crafting – i.e., stitching, knitting, crocheting, papercrafting, scrapbooking, painting, glassblowing, . . . if its any type of craft, it counts for this challenge. The challenge runs from January 1, 2016 to December 31, 2016. Sign up for the challenge using the link below. Please help spread the word about this challenge by writing a post on your blog. Please write and publish a post on your blog stating your intent to participate. In your post please somewhere include the challenge graphic and a link back directly to this post. Come back to the blog starting in January to post your reviews via a link in the post. At the end of every month I will randomly choose 1 entry/review for a $5 Amazon gift voucher sent by email to the recipient. There will be a new link for reviews posted every month. Crossovers from other challenges are absolutely alright!! Don’t stress . . . and have fun reading! One last challenge for 2015. The Christmas Challenge at Reading Every Season. I want to read some Christmas-themed books and will try to get at least five books for this one. NOTE: The link above has been deleted as of November 29. Click here if you wish to participate in this challenge. I am really excited to announce the 2015 Christmas Reading Challenge! 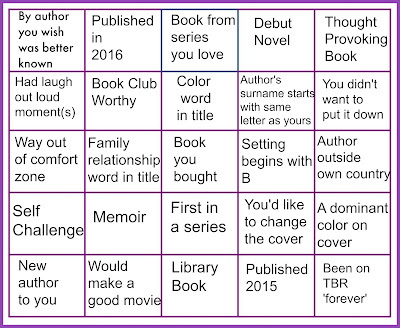 I have been looking forward to this reading challenge ever since I started the blog. This reading challenge will take place in the month of December. I will be also be hosting a Christmas themed readathon calledXmasathon which will run Dec 1 - 7 that will kick off the Christmas Reading Challenge. This is a design it yourself challenge. I want you to choose your own reading goals. This is a low pressure challenge meant to be fun. The books can be any genre but must be holiday themed. While the name of the challenge is Christmas, books about other winter holidays will count. This includes Hanukkah, Kwanzaa, and Winter Solstice. When you have reviewed a book, you are encouraged to come back to this post and add the link to your review in the comments. This challenge runs Dec 1 - Dec 31. Books may count towards other reading challenges you are participating in including the Winter Reading Challenge. The sign up page for the Xmasathon Christmas readathon is here. If you could be so kind, please place the Christmas Reading Challenge banner on your blog to help spread the word. You may sign up using your blog, Youtube channel, Goodreads, Twitter, etc. Going to try this one again. Sign up at Delighted Reader. Start on or after January 1 and no later than November 1, 2016 – End before or on December 31of 2016. 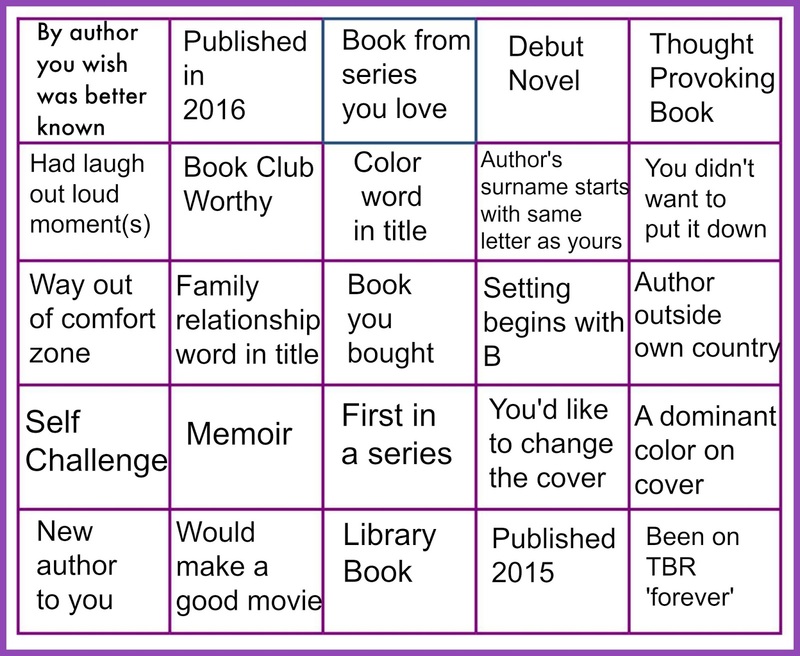 2016 Romantic Suspense Reading Challenge!